Ideal for indoor and outdoor tasks, the AdirPro’s LDG-8 laser detector is compatible with green rotary lasers in all lighting conditions. 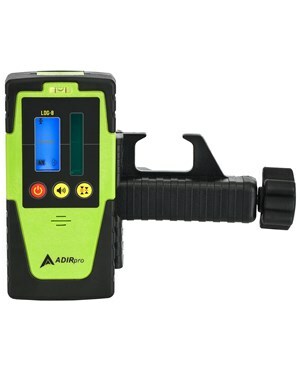 The AdirPro LDG-8 detector is robust with its hard plastic housing and rubber casing. It has a dual display and a built-in bubble level for convenience. The backlight to the liquid crystal display can be adjusted with the touch of a button. The same goes for the volume. In addition to the on/off button, there is an automatic shut-off feature that will power down the device after about ten minutes of being idle (so as to extend your batteries’ lifetime). With two new AA batteries you can get approximately 40 working hours. The LDG-8 laser detector comes with a compatible rod mounting bracket. The threading of both the screw on the bracket and the nut in the unit have ¼” threading. (2) AA batteries included. 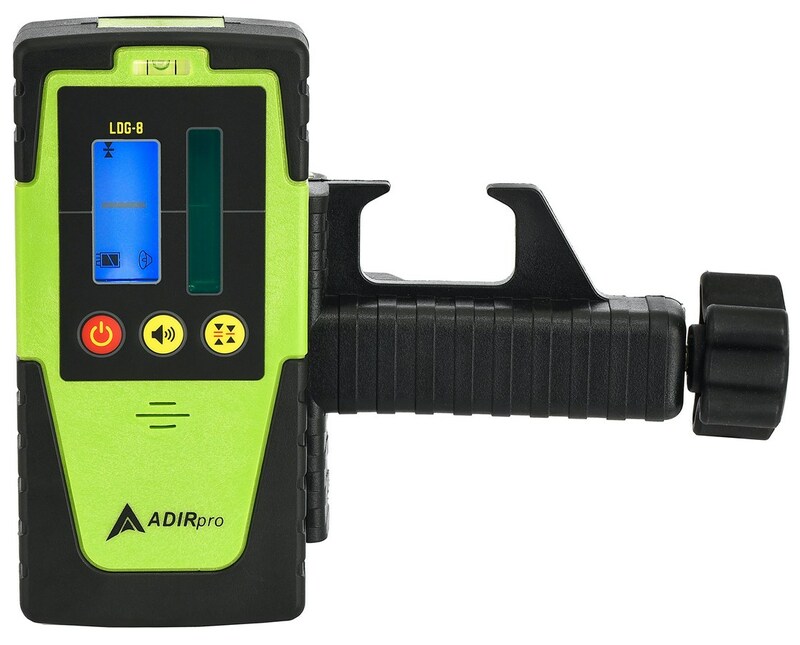 The 790-04 LDG-8 Laser Detector is backed by AdirPro’s standard limited lifetime warranty.